Being a trainer aimed at beginners, the airplane itself needs to be really easy to assemble in my opinion. We’ll see how quick and easy it is with the Sensei FS RTF. 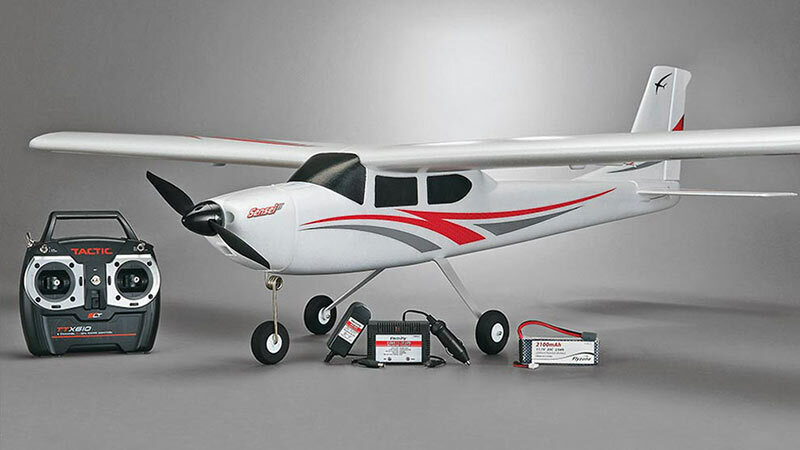 Being a RTF (Ready-To-Fly) plane, all of the hard work is already done like the installation of the receiver, ESC, motor, and servos. All we need to do is install the landing gear, put the wings together, and the tail section. We’ll start first with the landing gear, which is the easiest. The landing gear itself, tilts forward and is secured by two sheet metal screws. The tail section is in two pieces, the rudder and the elevator. The rudder piece sits right on top of the elevator section and is firmly in place by slots. Next up was sliding the tail section into the back of the fuselage. It’s a bit tight of a squeeze, but it slides in firmly then you can place bolts underneath to firmly secure the entire section. Next, we need to fasten the elevator rod through the elevator linkage. Here is what it should look like. The plastic piece is removable, then you position the rod in the linkage and then you re-install the linkage to keep it in place. I used needle nose pliers and it was a piece a cake. You’ll do the same for the rudder linkage. Next up, we need to put the wings together which stretches nearly over five feet! The first step is to insert the wing joining piece into one side of the wing. Once the wing joint is installed into the other wing, the holes in the center should line up perfect like below. Next, we inserted the top connector which keeps the wings together but also provides a way to secure the wings to the planes fuselage for flight. That’s it with the assembly! It took us about 10 minutes in all to assemble this trainer! Read on and we’ll do some flight testing and talk about how well it handles in the air!